To download the iOS version, click here. For the android version click here. 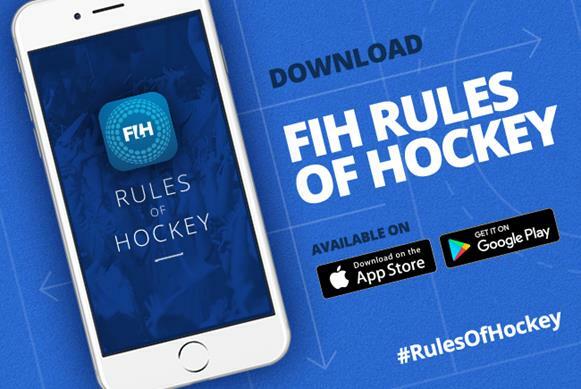 Earlier today the International Hockey Federation (FIH) launched a free ‘Rules of Hockey’ app for iOS and android smartphones. 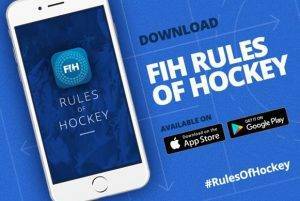 The app details the official FIH Rules of Hockey 2017, providing officials, players and fans with an easy-to-use and accessible resource. Mobanode, who have created similar products for other sports including rugby and cricket, were commissioned to develop the app for hockey. The objective was to create a tool that not only helps officials but also gives athletes and fans a better understanding of the game. The app, which will be constantly updated to reflect approved Rule and Regulations amendments, also includes helpful quizzes to help users learn about the rules that govern the game of hockey. It has been launched with a view to replace printed Rule books previously distributed from FIH’s headquarters in Lausanne.